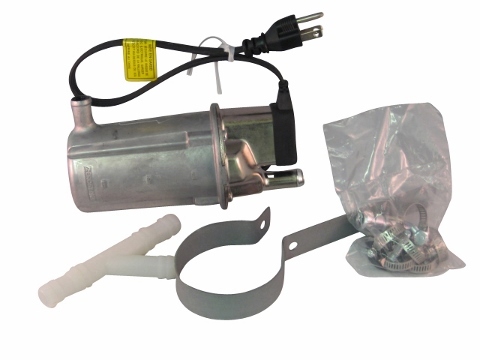 This block heater kit is a kit put together by us for use on Jinma tractors. Included in the kit is everything you need to get your block heater installed on your Jinma. Included in this kit will be two hoses, a self tapping screw and instructions on how to install this product on your tractor. Jinma 204, Jinma 254, Jinma 284, Jinma 304, Jinma 354, Jinma 404, Jinma 454, AgKing, Agracat, Dakota, EmeryBuilt, Farm Boss , Farm Master, Farmpro, Iron Horse, McKenzie, Nortrac, Taskmaster, Workhorse. From Mike C of Superior, Montana on 11/14/2017 . I live in an area where sub zero temps are a given every winter. A block heater is necessary, They had it in stock and told me it shipped with ALL the parts and pieces I'd need for installation, and that is was a easy install...AND IT DID AND WAS!...very happy, and my tractor is ready for plowing this winter. I will use them for ALL of my little tractors needs. From ken of castle creek, New York on 1/10/2016 .